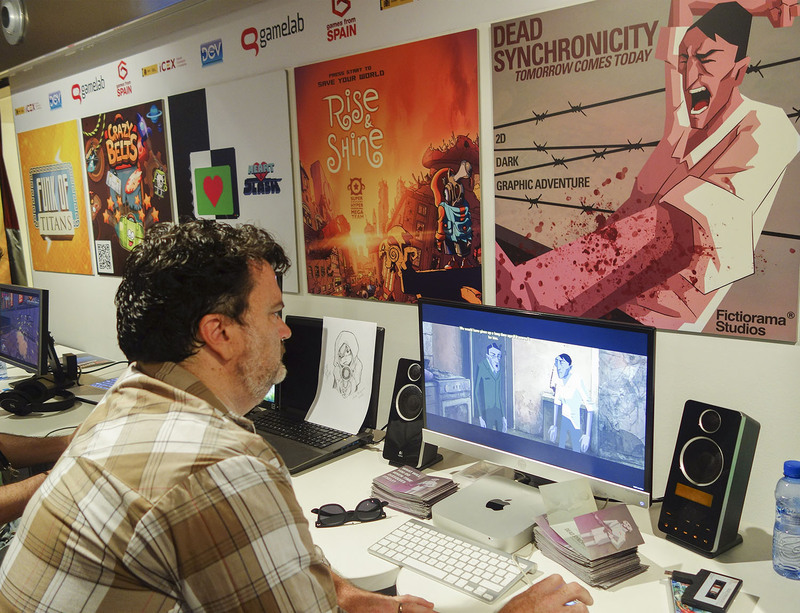 Is that Tim Schafer playing “Dead Synchronicity”? These last weeks we’ve been promoting “Dead Synchronicity: Tomorrow comes Today” here and there. We love attending events and showcasing our game, as it’s a really great chance to watch players enjoy our game (their feedback is always so useful!) and to meet other developers. It’s always really fun! But when you happen to meet one of the developers you have always admired… then it’s awesome. In fact, we spent almost a week in Barcelona attending two really cool events. Firstly, we attended the First Congress of PAD: Professional Associated Developers. PAD is a recently formed organization created to fulfill the real needs of the indie video game Spanish developers. And it’s doing really fine. 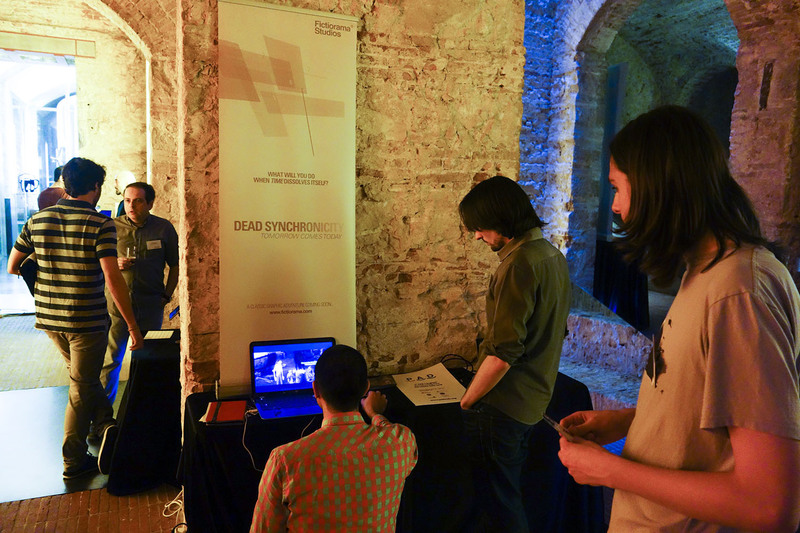 More than 36 indie companies exhibited their games at the Congress, that took place in a really cool old brewery: adventure games like AR-K, The Last Door or The Guest; car games like Formula WinCars or MetalliCars; fun mobile games like Shiny, the Firefly, Extinction or Unlocked; cool stealth games like Twin Souls (check their Kickstarter! )… It was a great chance to meet friends and media! Congrats to everyone involved in the organization! 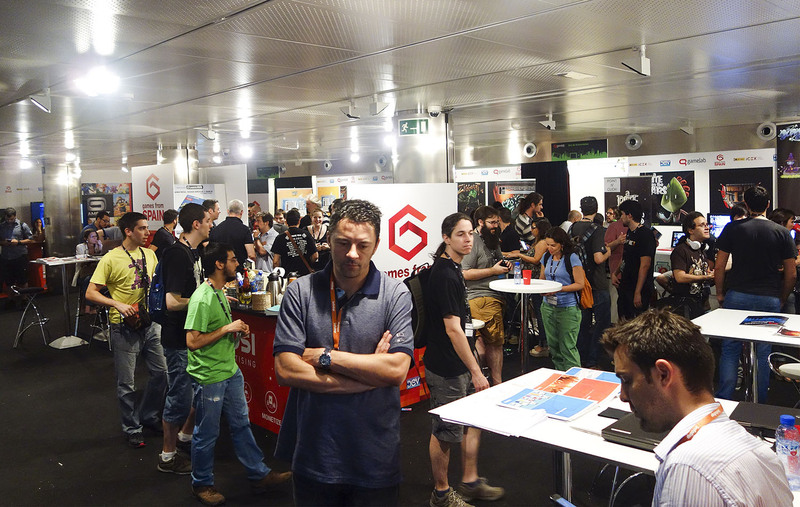 Then we attended GameLab, the main professional video games event in Spain, focused on game studios, game publishers, game platforms, game portals, etc. 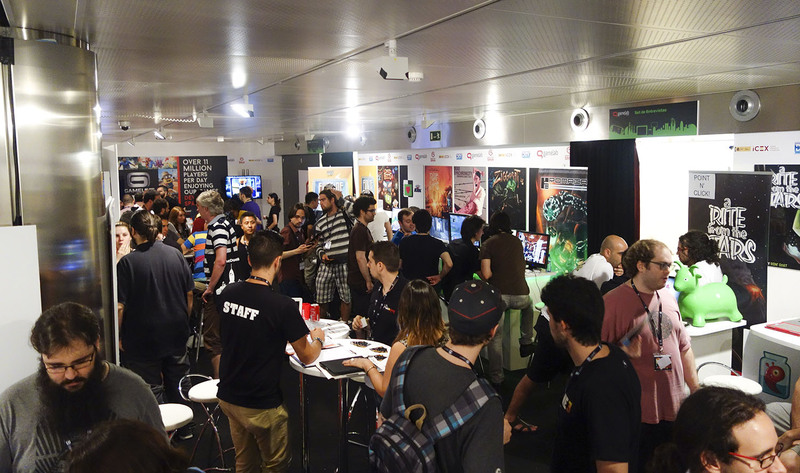 This 10th edition of GameLab featured an Indie Showcase: thanks to the collaboration of Made in Spain Games, 14 indie companies (including us) had the chance to show our games in this renowned conference. We spent three days with a lot of mates who were exhibiting plenty of interesting, fun games: Heart & Slash, Ziggurat, Gods will be Watching, Grumpy the Reaper, Rise & Shine, Kromaia, A Rite from the Stars, Funk of Titans, Skull Dive, Crazy Belts, Bee Invasion, Runemals, World War II: TGC, Battle for Gea… Give them a try! Big Spanish games developed in the last year like Castlevania: Lords of Shadow 2 or Asphalt 8 were awarded… but also indie games like the delightful point and click The Rivers of Alice, Gods Will be Watching, Path of Shadows or Full Mojo Rampage got awards! For us it was really encouraging to see some indie mates being awarded by the Spanish Academy of Interactive Arts and Sciences!!! Those were three days of meetings, players (and backers!!!) trying the game, interviews… and attending really interesting talks by celebrities like Kim Swift, Jade Raymond… and, yes: Tim Schafer. 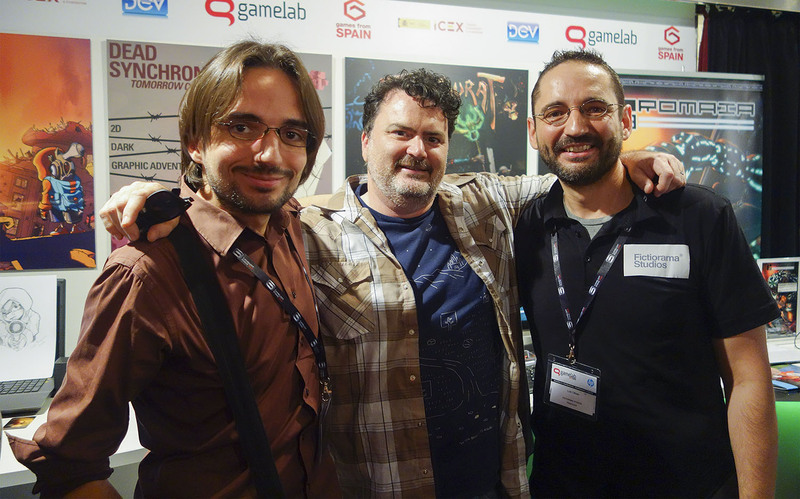 Besides giving a really inspiring talk in an awesome keynote (he’s an amazing storyteller), Tim Schafer was so kind that he came to the Indie Showcase and played some games. You can imagine the jaw dropping feeling we got when he came to of our table and started to play Dead Synchronicity: Tomorrow comes Today. In fact, besides playing the game really thoroughly… he kindly made remarks here and there about it. He already knew the game, and according to his comments… he really liked it! 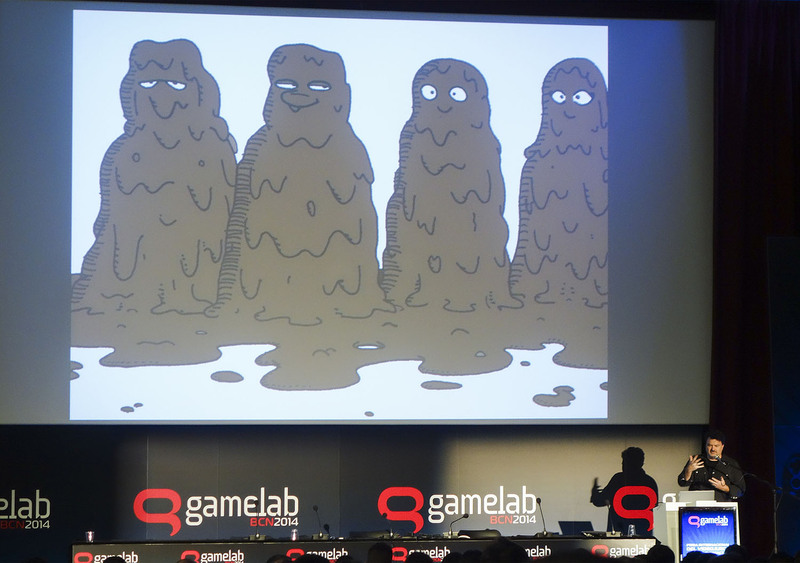 We grew up playing Monkey Island, Day of the Tentacle, Grim Fandango… So, to see the man behind those amazing games playing our game is… it’s like a dream come true. THANKS A LOT Mr. Schafer!